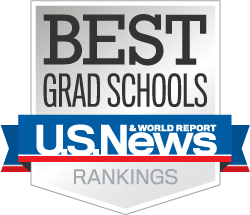 The Ohio State University College of Social Work’s graduate program has continued to climb in the U.S. News & World Report’s rankings of America’s Best Graduate Schools. In the 2018 rankings, the college advanced to 7th among public universities and 15th overall among the 253 graduate social work programs in the United States. In 2016, the college ranked 9th and 17th, respectively, which was at that time its first appearance in the top 10 among publics and in the top 20 overall. Rankings are determined from an annual survey of all graduate programs. “I’m very proud of our faculty, staff and students. This continued climb in the rankings reflects their impact as innovative scholars and creative instructors in the field and the classroom. We are a community of difference makers, and I’m happy that our impact is recognized in this way,” said College of Social Work Dean Tom Gregoire. For more information, contact Communications Director Frankie Jones-Harris at jones-harris.1@osu.edu or 614/330-2206. This entry was posted in News & Events on March 20, 2018 by admin.